Coalition Avenir Québec, a right-of-centre party that has never held power, will form a majority government in Quebec, dealing a historic blow to the incumbent Liberals. In a rowdy victory speech, premier-designate François Legault said voters had finally set aside the divisive battle over sovereignty that has consumed provincial politics for the last 50 years. "Today, we have made history," he said. "There are many Quebecers who have demonstrated that it is possible to have yesterday's adversaries work together, to work for the Quebec of tomorrow, together." 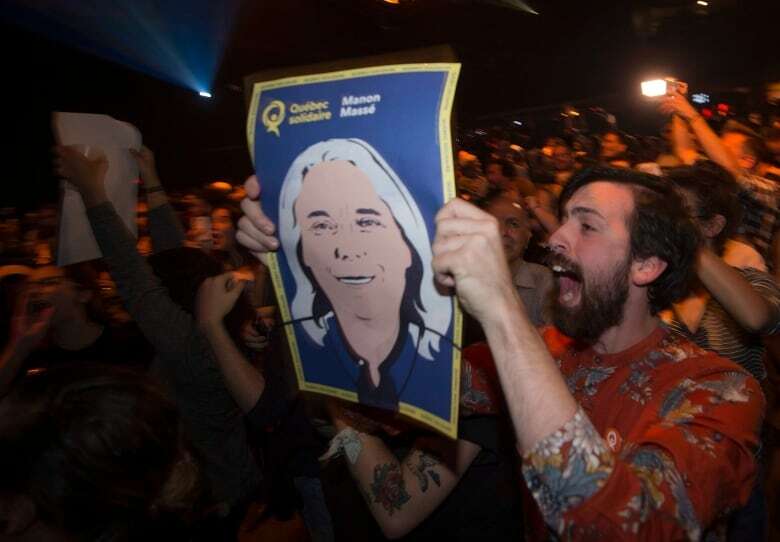 The election also saw major losses for the pro-independence Parti Québécois at the hands of another emerging party, Québec Solidaire. The PQ's leader, Jean-François Lisée, resigned after losing his seat. The CAQ, which promises to lower taxes, privatize some aspects of the health-care system and cut the number of immigrants, capitalized on an appetite for change among Quebec voters. The Liberals had held power for the past 15 years, with the exception of a brief PQ minority government. 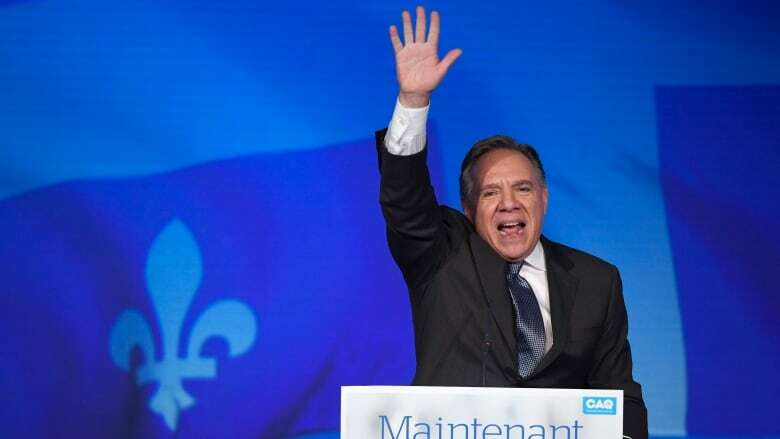 Founded in 2011, the CAQ was the favourite heading into the campaign, though Legault stumbled badly at times, particularly when pressed to explain his controversial plan to cut the number of immigrants accepted by the province. Speaking in English, he said, "I want to assure you that my government will be your government." The CAQ won 74 ridings while the Liberals were elected in 32. Sixty-three is required for a majority. But they won only two seats on the island of Montreal. Legault, who has proposed building new suburban roads, has not always seen eye to eye with the city's mayor,​Valérie Plante, who took power last year on a promise to improve public transit. The CAQ had 37.7 per cent of the popular vote, the lowest amount in Quebec history for a party that won a majority. The Liberals got only 24.7 per cent, a historic low for the party. Since Confederation, the Liberals have always obtained at least 30 per cent of the vote. Philippe Couillard's Liberals campaigned on their strong economic record and a promise to improve the everyday lives of Quebecers. But they were criticized for the deep cuts to education and health care made in the first two years of their mandate as they wrestled to balance the budget. In his concession speech, Couillard, who retained his own seat in Lac-Saint-Jean, said he would take a few days to reflect on his political future. "Quebecers clearly expressed a desire for change," he said. "I wish for [Legault's] government all the success that Quebec deserves. Couillard added that he was proud of his government's record, and that "we did what we said we would do." Speaking in English, he said, "English is not a foreign language. You have always been among us, part of us, part of our history." Watch: Couillard urges Quebec to remain united. The PQ won just nine seats and only 17 per cent of the popular vote. Those numbers aren't enough to maintain official party status in Quebec. The question of whether Quebec should become independent didn't figure prominently in the campaign for the first time in decades. With support for sovereignty waning, the PQ said during the campaign it would put off holding a referendum until a second mandate. But the party lost votes to another sovereignist party, the smaller, left-wing Québec Solidaire​, led by two popular "co-spokespeople," Manon Massé and Gabriel Nadeau-Dubois. Lisée lost his own Montreal riding of Rosemont to Québec Solidaire​'s Vincent Marissal. Québec Solidaire won 10 ridings, more than tripling its seat count. Québec Solidaire's platform, which includes a series of bold environmental proposals, is particularly popular among young voters. In her speech, Massé urged the CAQ to take action to fight climate change. "We told you all campaign about the environment. It's now or never," she said. 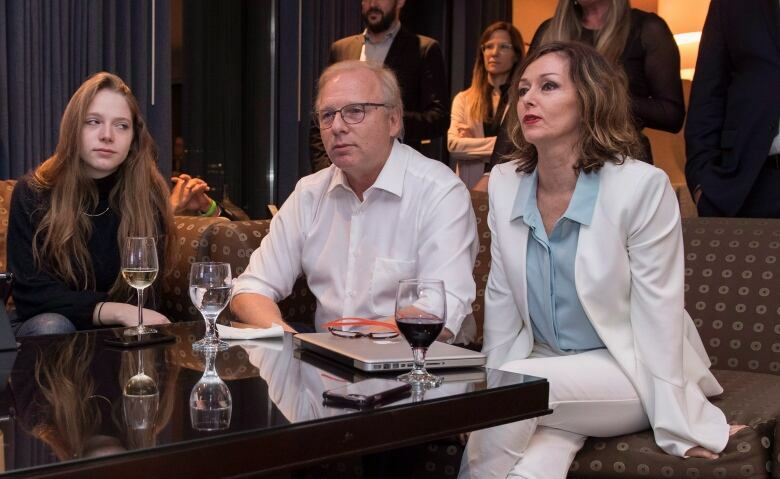 When the election was called, the Liberals held 68 seats, the PQ held 28, the CAQ 21 and Québec Solidaire​ three, along with five independents in the province's 125-seat National Assembly. After a dismal election result, what does the future hold for the Parti Québécois?